United were dominate throughout against manager less Shrewsbury, currently under the temporary leadership of former Blades keeper Danny Coyne, with all three goals coming in a 20 minute second half spell. O’Connell missed the trip to Greenhous Meadows due to illness, forcing Chris Wilder into a change and handing Jake Wright an opportunity to shine. Meanwhile Chris Basham returned from a three match ban as United made changes from the side which beat Port Vale 4-0 in the previous fixture. The early exchanges in the opening 15 minutes saw the visitors made a positive start, referee David Webb was too eager and twice needlessly brandished a yellow card to a couple of the home players. United won a couple of corners and from one, Ebanks-Landell, who twice scored against Vale, would have been prime target, he clipped one back into the danger area but Sharp's shot was blocked on the line by Ogogo. The hosts had to wait until 24th minute until their first opportunity in front of goal arrived. From a corner, Riley's delivery saw Waring and Ogogo come close, resulting in Basham clearing close to his goal. Shrewsbury at this point had put a bit of pressure on United but failed to test keeper Moore. Lancashire flashed a free-kick over the top in what was their best opportunity during this spell. United presented the more likely to score, Freeman's shot on the turn was pushed away by keeper Leutwiler, and from a quickly taken free-kick, Lafferty saw his effort deflected wide. As the first half was drawing to a close, Fleck fired across goal but with neither side able to hit the back of the net, the score-line remained all square at the break. A bright end to the first half period was overshadowed by the early stages of the second half. With 60 seconds gone of the new half United had taken a deserved lead, but not before Fleck tested the keeper once more. Done laid-off to SHARP, and from a distance of 25 yards he fired from distance into the far top corner in front of the travelling support. United saw further chances to extend their slim lead go to waste over the next ten minutes, Sharp and Lafferty combined but couldn't beat Leutwiler. Duffy's free-kick smacked the crossbar as the visitors came close to a second. It wouldn't be long until they got their goal. On 63 minutes, Coutts won possession following a Shrews attack on the right, his deep cross saw LAFFERTY arrive late at the far post, but just in time to head home. Three minutes later Coutts saw his effort turned over by the keeper as United were firmly camped in Shrews half. From the resulting corner, a deep cross was flicked on and SHARP found the back post unmarked and his first time effort fired across goal and into the net. The hosts made changes as they desperately attempted to get back into the game. Moore punched away Riley's set-piece, and from a different free-kick, Lafferty blocked Dodds effort in the box. Shrewsbury found them overworked in the final minutes as United continued to dominate. Sharp was twice denied a hat-trick and Coutts blasted over. Ben Whiteman and Reece Brown were introduced for Duffy and Freeman with three minutes of injury time signalling the end of the match and three points to the visitors. Shrewsbury Town: Leutwiler, Riley, Sadler, Lancashire, Ogogo, Toney, Brown, Grimmer, Sarcevic, Deegan, Waring. Unused: Black, Dodds, O'Brien, Mangan, Halstead, Leitch-Smith, Ebanks-Blake. 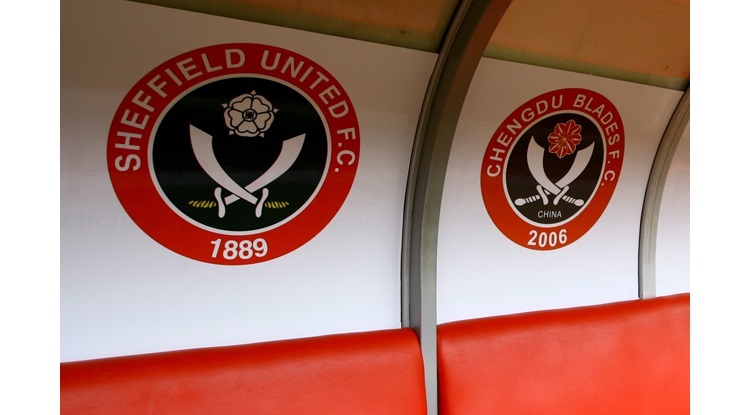 Sheffield United: Moore, Fleck, Basham, Sharp, Done, Wright, Coutts, Freeman (Brown 89), Ebanks-Landell, Duffy (Whiteman 83), Lafferty. Unused: Hussey, Scougall, Lavery, Ramsdale, Chapman.